Fueled by passion to bring self-love and acceptance into our communities, Global Hearts is a "for purpose" organization that was established to provide loving homes and education to children in need around the globe. Lifting them up and inspiring them to reach for something higher. Our first project is to raise the fees to support 5 Kenyan girls through four years of high school. In Kenya, school fees are required to be paid once you enter high school. If the family is not able to pay these fees...education stops there. We want to support these girls as their options are limited...if they are unable to continue their education, they either get married, attempt to get a job as a "domestic", or do whatever they can to support themselves, which continues the cycle of poverty. Our intention is to raise $25,000 which will be used to support these 5 girls throughout their high school career. This money will pay their living expenses (food and board), uniforms, school fees, books and necessities for all four years. With your love and financial support, these girls will complete high school and go on to contribute to society and break the cycle of poverty...please give from your heart and contribute today. 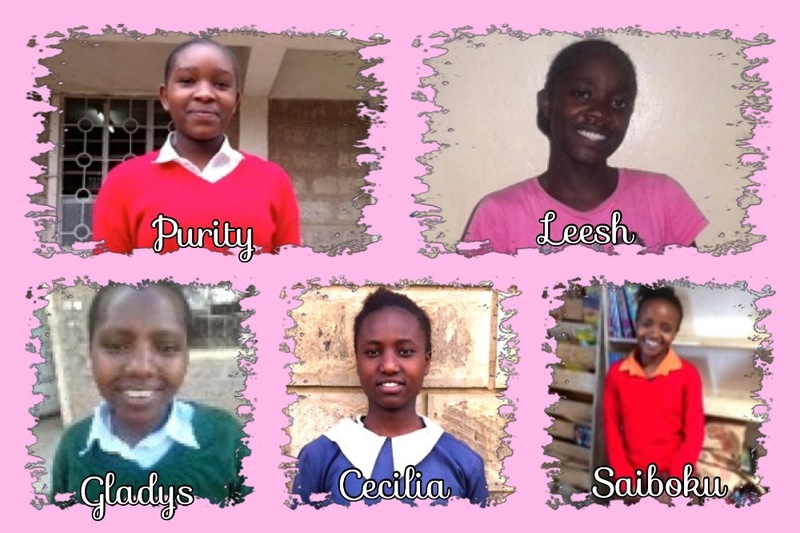 These 5 girls have been selected as some of the top girls from schools in poverty stricken areas around Nairobi with the greatest potential and great need. Meet the girls! Purity is always among the top 3 in class academic performance. Her best subject is Mathematics. 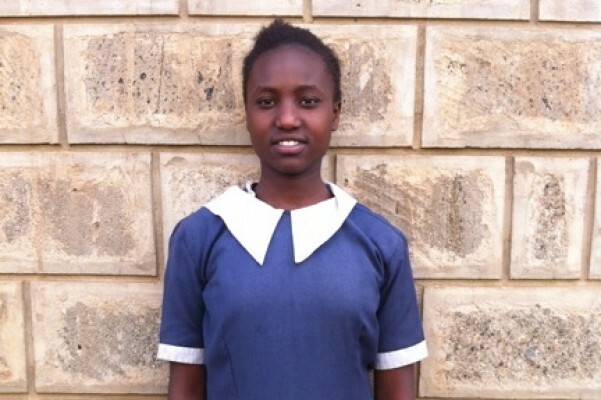 She has both parents but they are unable to raise her school fees. They are struggling to raise school fees for their first born who is now in form two (10th grade). Purity is the 2nd born of 5 sibblings. Hobbies include reading the bible, novels, going to church and playing basketball. She dislikes idleness, telling lies and seeing children suffer. Her career dream is to become a neuro surgeon or a University Lecturer. Leesh is an orphan, she lived with her grandmother that is sickly and unemployed. Due to her family situation she was given a chance to live at Holy House. She needs assistance in payment of school fees, uniform and upkeep. Her father died of HIV/AIDS and her uncles sent her mother and the children away. The mother went back to live in her father's compound. In January last year she died and left Leesh and her siblings to live with their grandmother who can barely walk because of her aching back/ arthritis. When Leesh was accepted at HH she came only with the clothes she was wearing since whatever she had were rags which she could not use any more. She wants to be a doctor, her best subject is Chemistry and her recent performance marks are 749 out of 1000 (B+). "My name is Gladys. I come from a family of 7 people, 3 adults and 4 children including me. My family is financially unstable and so we rely on peasant farming done by my father to meet our daily needs. My mother is jobless. School fees have been a problem to pay since the amount of money that my father earns doesn't cover both our family needs and the school fees. Mine is to work hard in school so that one day I can lift my family from the bad situation they are in and help those who are unable... like me. After completing my academic studies, I would like to be a surgeon. I will be glad when my dream is fulfilled." Cecilia's father passed on in 2006. She and her 2 sibblings live with her mother, who is jobless though struggles to feed her children. The mother "hawks" some things to earn a living. 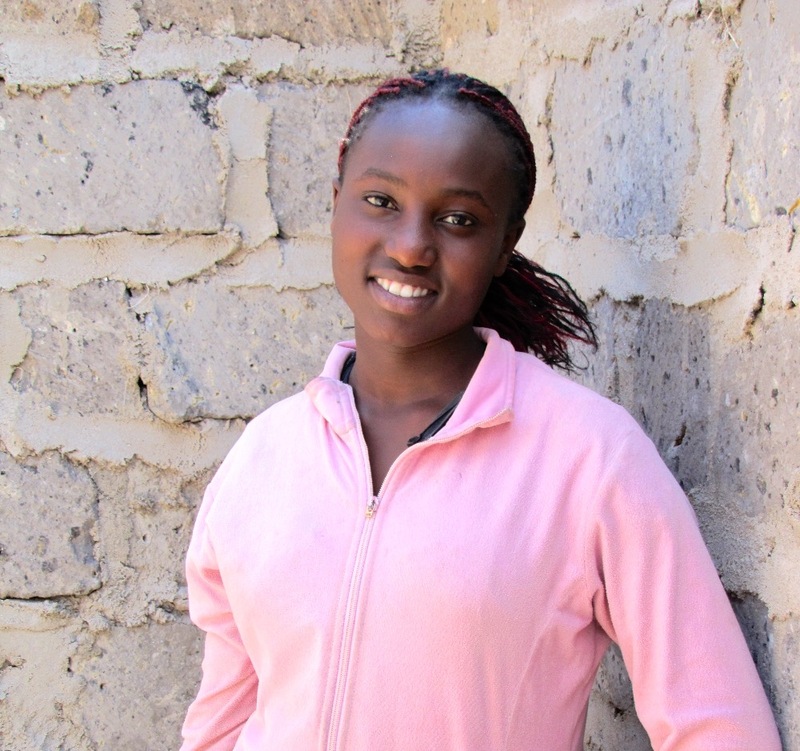 Cecilia aspires to be a Lawyer and her best subjects are Science and English. She loves to sing. Saiboku is from the Maasai origin born on 7th Nov, 2000. She is from a family where her parents could not fend totally for her needs. She happen to have been rescued from the streets after she eloped due to ill cultural practice of being married at a tender age. She has shown much interest in education and therefore very hard working in her school work. She is one of best candidates and we have hopes that she will perform excellently in her final exams. She loves to play football (soccer) and dance in her free time. She has a dream of being a journalist. Please help us change these girl's lives... one child at a time. Donate today!!! Happy New Year! Wishing you all the desires of your heart in 2015!!! As I look forward to the new year, I am so grateful for all my blessing... large and small. After a visit to Nairobi in December, I was reminded of how much we take for granted... like hot and cold running water, a roof over our heads, central heat and air, flush toilets, plenty of food to eat... and the opportunity for free education through high school. I was able to spend time with two of the girls we are raising money for to allow them to continue their education into high school. Cecilia and Purity are two bright, beautiful, young women who are very much looking forward to their high school years, furthering their education so they can help lift their families up and break the cycle of poverty. Both have dreams of a creating a better life for their families, communities and country. Cecilia wants to become a Lawyer to ensure justice, and Purity wants to become a Surgeon to be able to assist families that are unable to pay. What beautiful dreams... and you can be a part of helping these dreams come true! If you are grateful for your many blessing, and want to share in helping these girls fulfill their dreams, please donate what you can today! It is with deep gratitude that I would like to thank those of you that have given from your hearts to help change the lives of these 5 young women. If you want to change the world… change the life of a child. And to take it even farther… change the life of a girl, as you will not only change her life, but the lives of everyone she touches. Let's all keep the attitude of gratitude with us during this holiday season and remember how the gift of education has changed each of our lives. These young women strive to better themselves and their lives and education is the ONE thing that can help them break the cycle of poverty and become contributing members of society. Please reflect back on the people in your lives that inspired you, supported you and made a difference in your life… and remember them with gratitude. Then, if you are so lead, please make a donation and become an Angel in the lives of these 5 girls. Again, our goal is to raise $6,000 by January 1, 2015 so we can enroll these 5 girls in school. Will you please help? Donate today! Thank you to all who have supported us in raising money for these 5 wonderful young ladies to continue their education into high school. In just 3 days, friends have contributed enough to send one girl to school for one year. While it is important to raise the entire $25,000 to support all 5 girls through 4 years of high school, it is imperative that we raise $6,000 by January in order to get all 5 enrolled in classes for 2015. 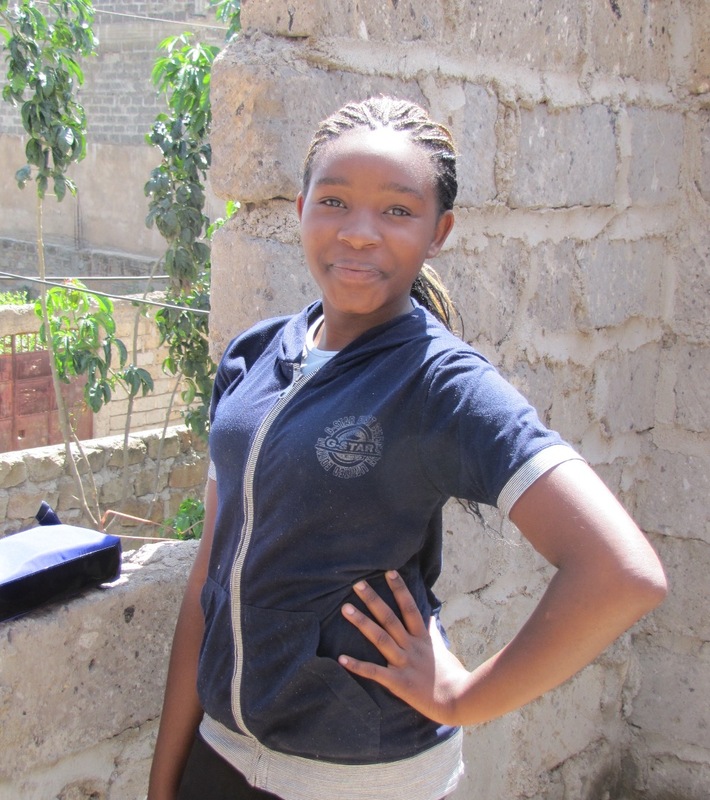 As you read their stories, please think about how the gift of education has benefited your lives… then give from your heart to pass on this gift to these young women. With your help, we can change lives… one child at a time. Also, please share with your friends and family and allow them to make a difference in these children's lives.